This attractive two drawer storage unit is the perfect addition to any bathroom. 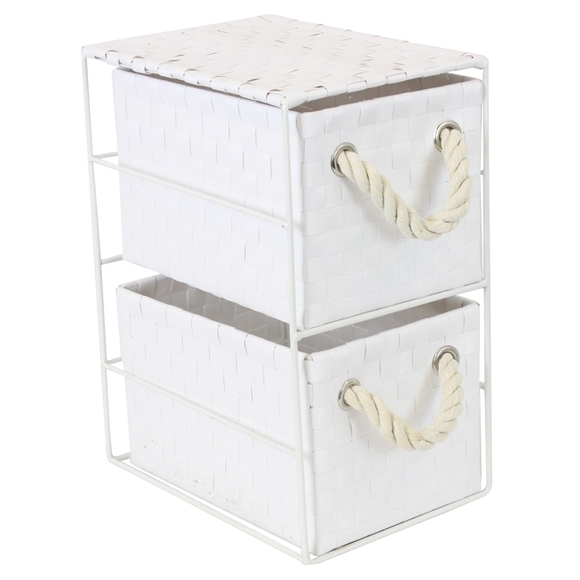 Store all your bathroom essentials and small towels in style with its charming design and appeal. Compliments bedrooms and utility rooms too. Size: H:33 x W:18 x D:25cm approx.